Urban Rituelle is an Australian company specialising in beautiful bath & body products. We have been using & stocking their products for many years & love the high quality, exquisite fragrances & gorgeous, distinctive packaging. Urban Rituelle is all about modern indulgence - celebrating life's simple pleasures & enhancing daily rituals. We are very pleased to have products from their newest collection - Tea Ceremony - available, both in store & online. 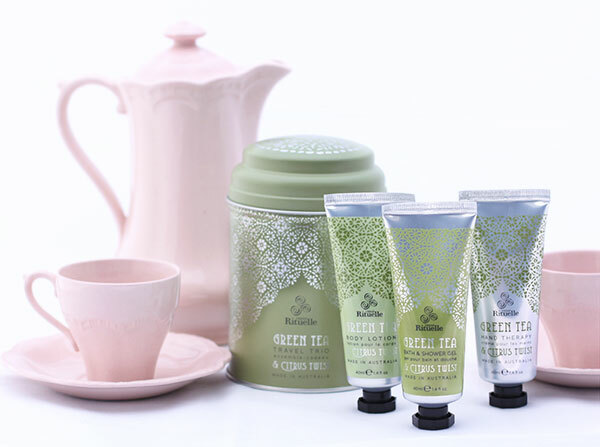 The Tea Ceremony collection celebrates the time honoured ceremony of drinking tea. Blended with the finest botanical extracts & herbal infusions, we invite you to experience the beauty & nostalgia that is the Tea Ceremony. With fragrances such as Hibiscus & Cranberry, Green Tea & Citrus & Turkish Rose & Vanilla & presented in elegant packaging, the Tea Ceremony collection makes the perfect gift for someone special, or little indulgence for yourself.